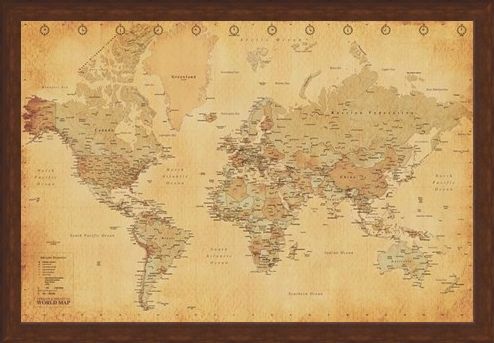 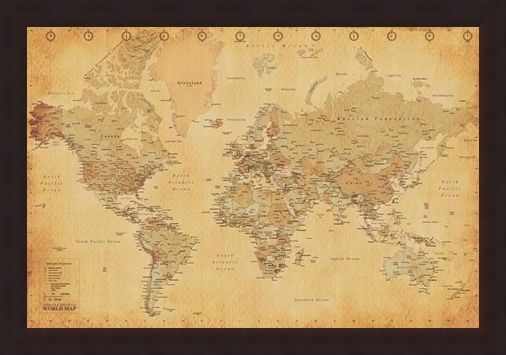 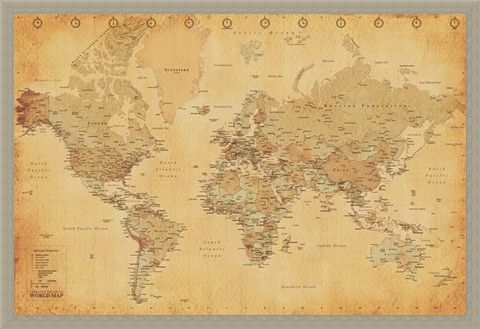 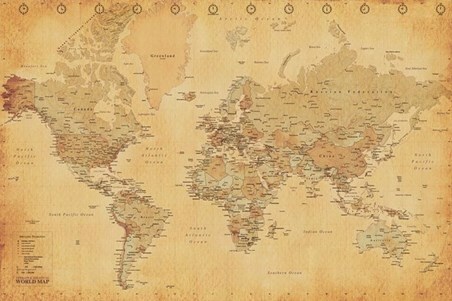 World Map Poster: Add a touch of vintage charm to your home by hanging this world map poster on your wall. Featuring a comprehensive map of the world coloured in various shades of brown, this poster will make a great choice for anyone looking to improve their knowledge of the geography of the world, whilst adding a classic touch to their home interior. High quality, framed Vintage Style World Map, Discover The World poster with a bespoke frame by our custom framing service.